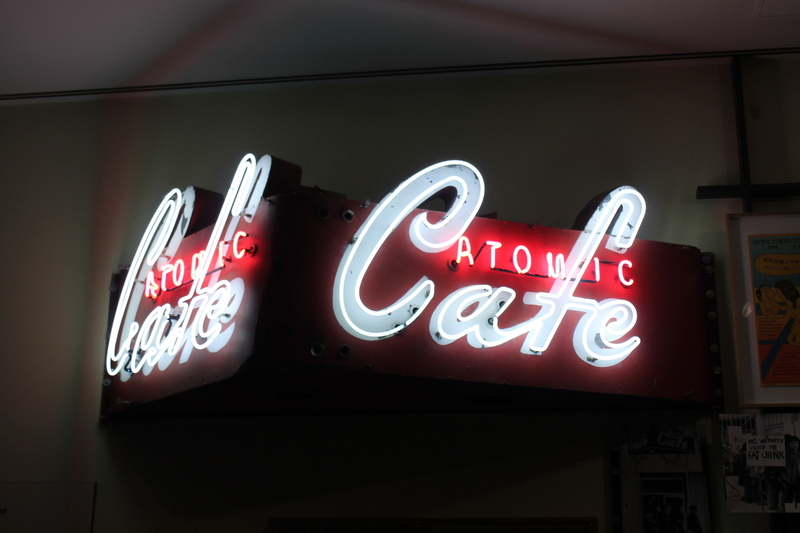 Stan’s Obligatory Blog » Hello! 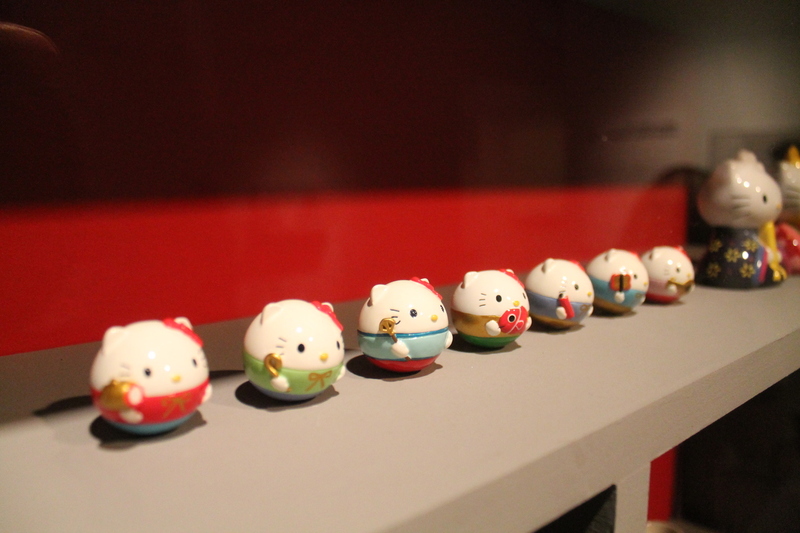 Today, we went to Little Tokyo to visit the Japanese American National Museum to see “Hello! 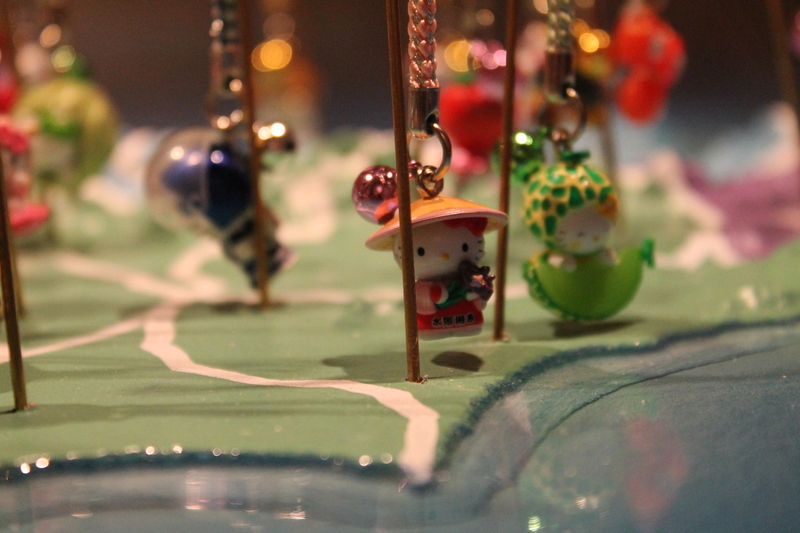 Exploring the Supercute World of Hello Kitty“. 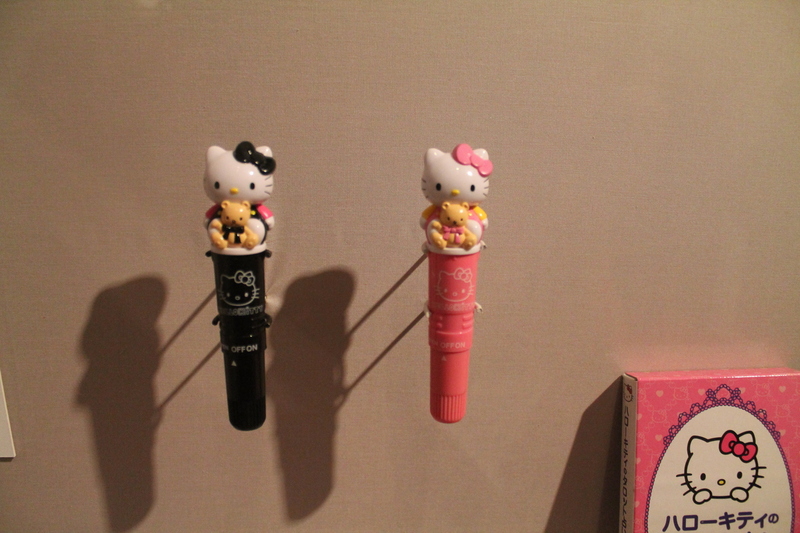 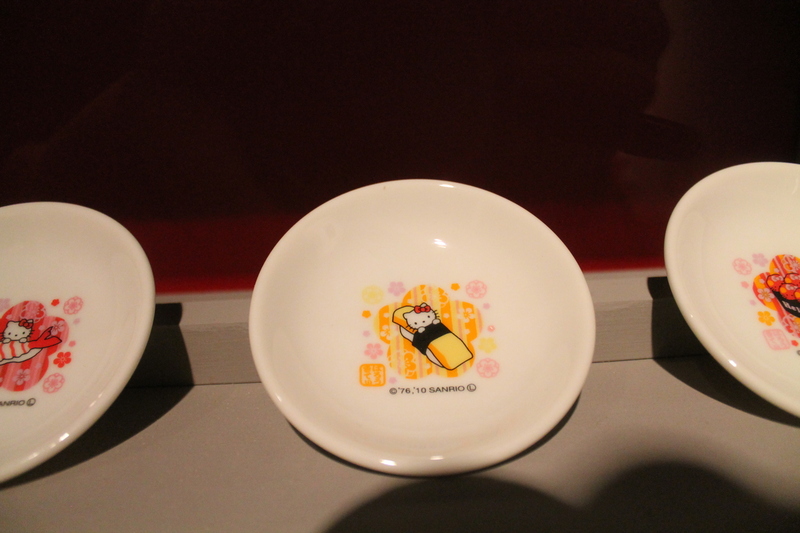 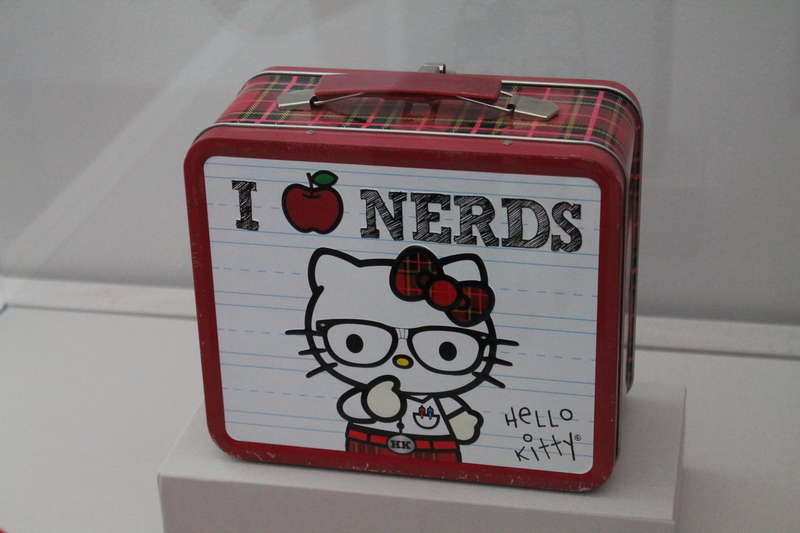 This was an entire exhibit devoted to the history and everything else about Hello Kitty. 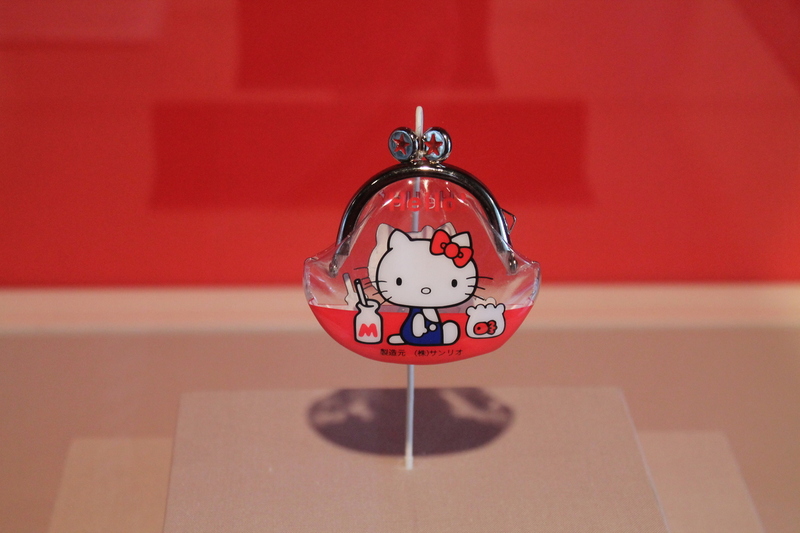 Hello Kitty started in about 1974, and we learned all sorts of things about her. 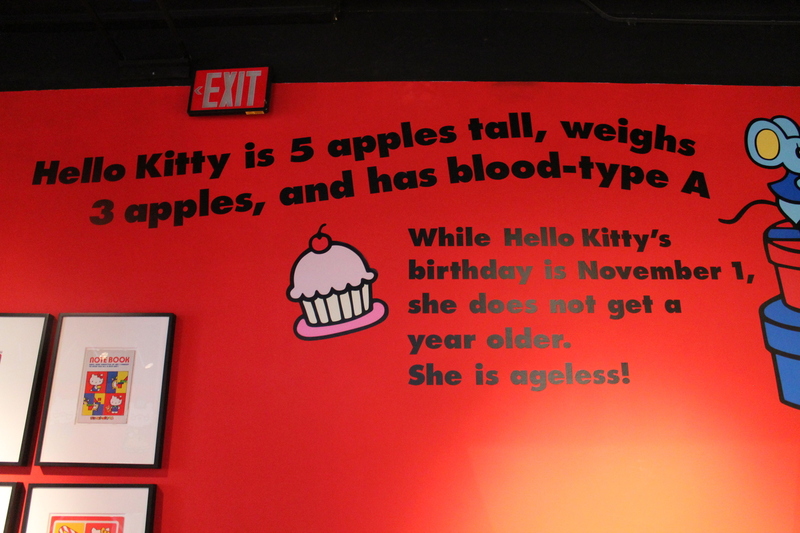 Apparently, she has a blood type, although she does not age. 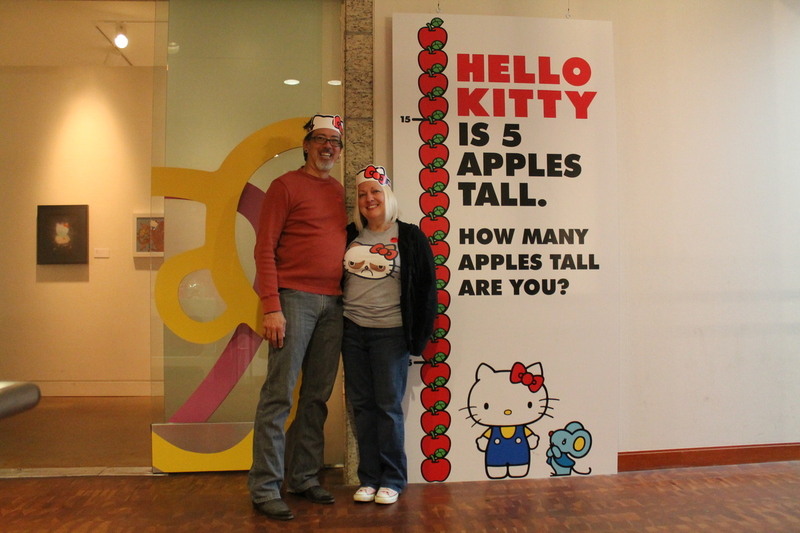 She is five apples tall. 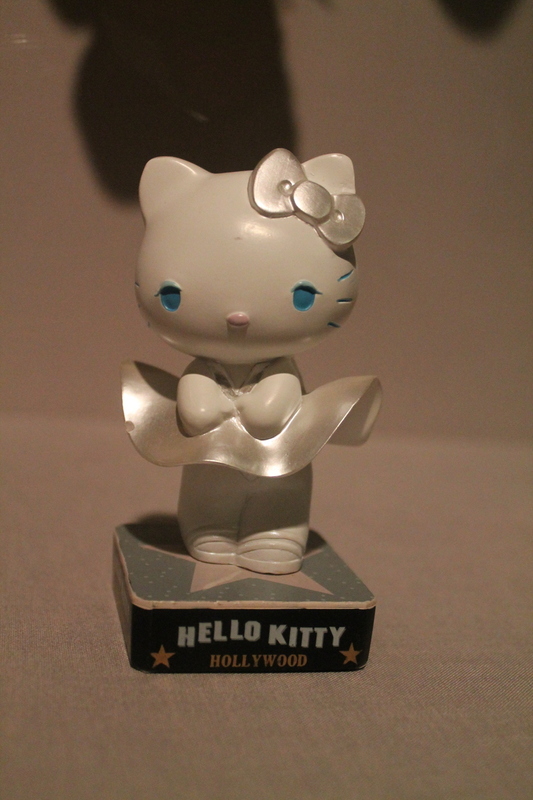 And she has been made into and onto all sorts of things over the years. 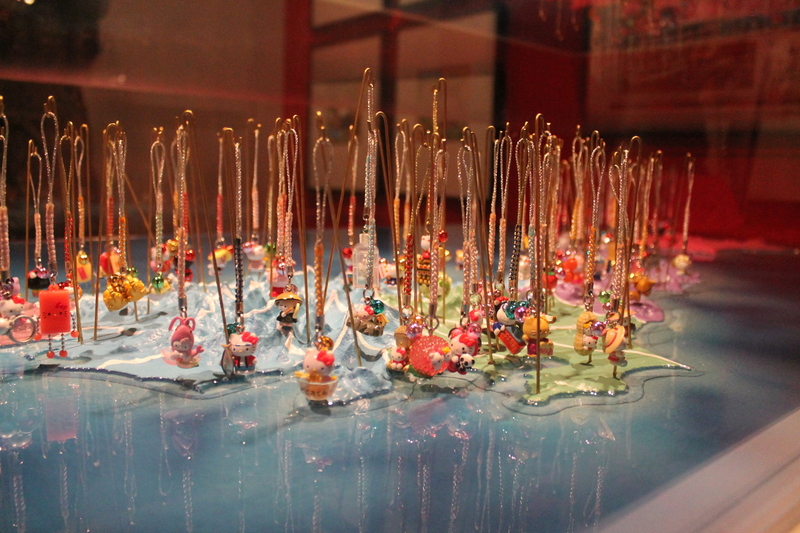 It was really quite amazing to behold. 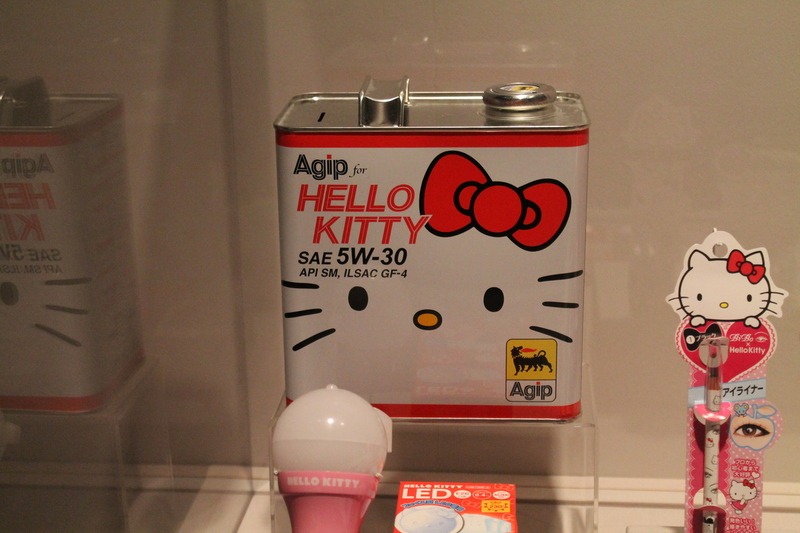 The entire first floor of the exhibit was all official Hello Kitty items from Sanrio. 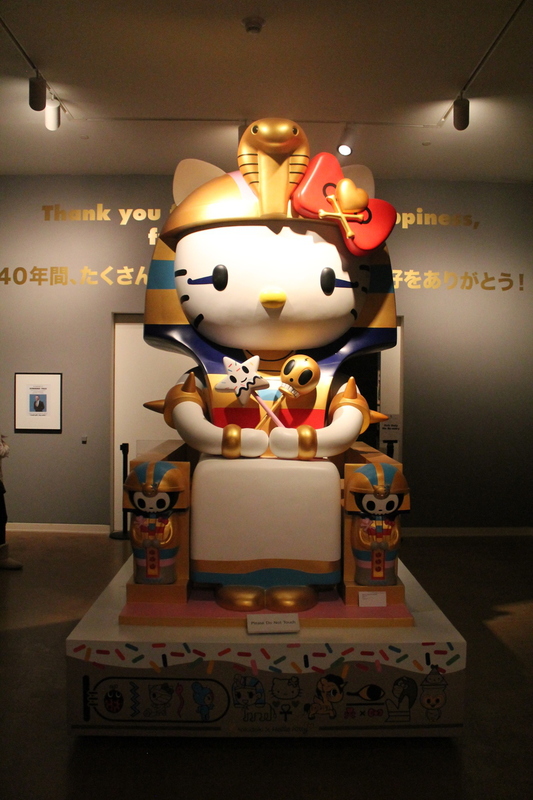 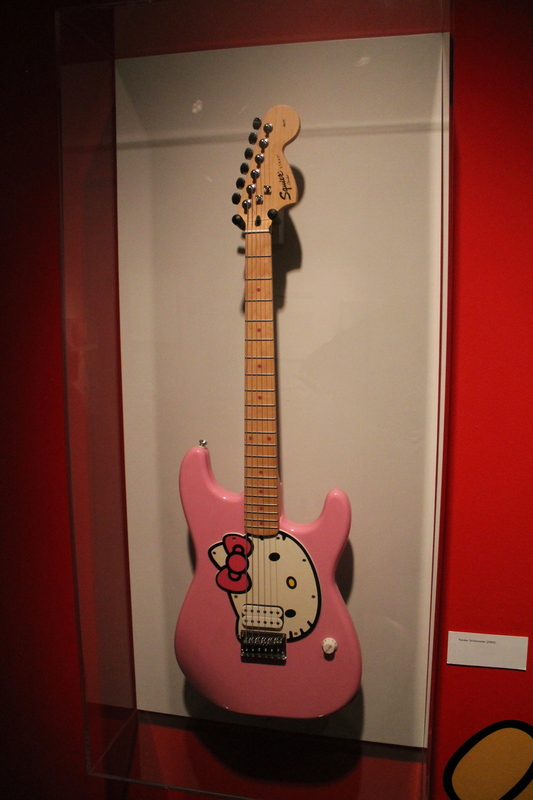 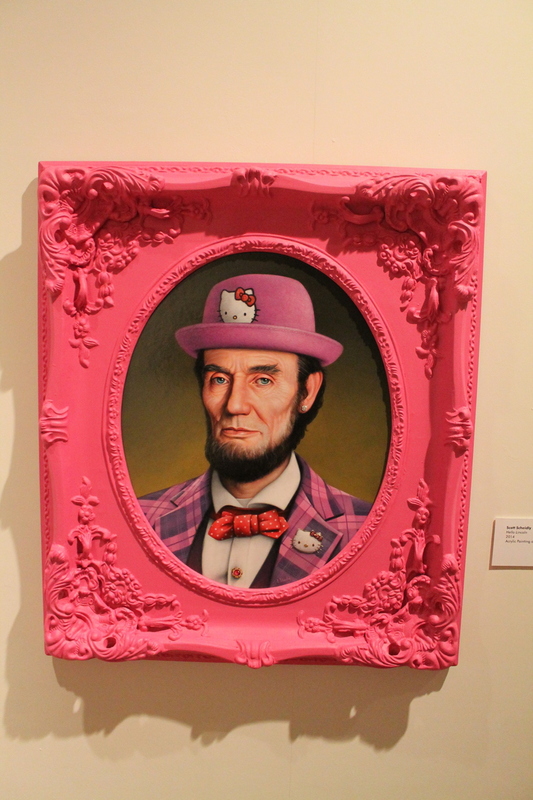 The second floor was more about the influence of Hello Kitty on popular culture, including art by various artists who did Hello Kitty-themed pieces. 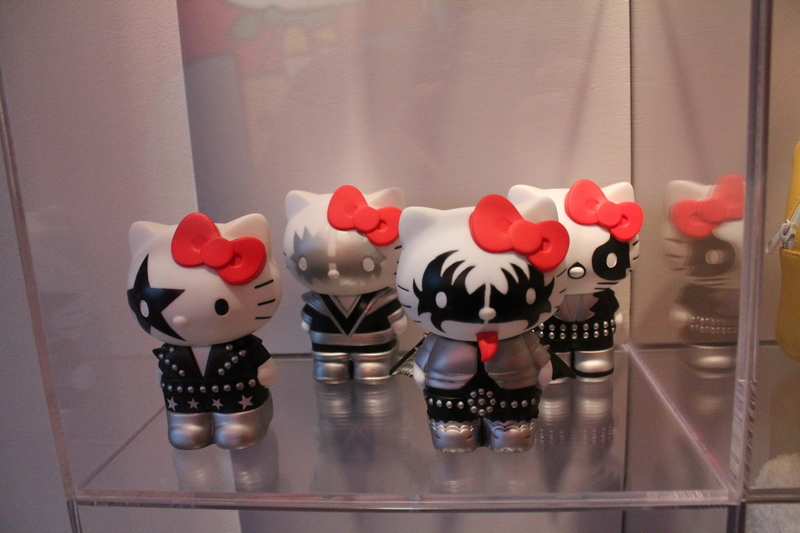 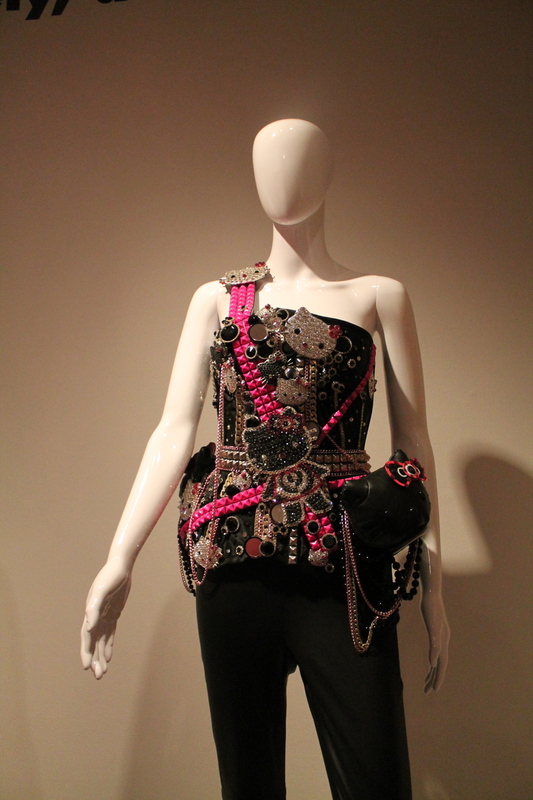 We even saw Lady Gaga and Katy Perry’s Hello Kitty outfits. 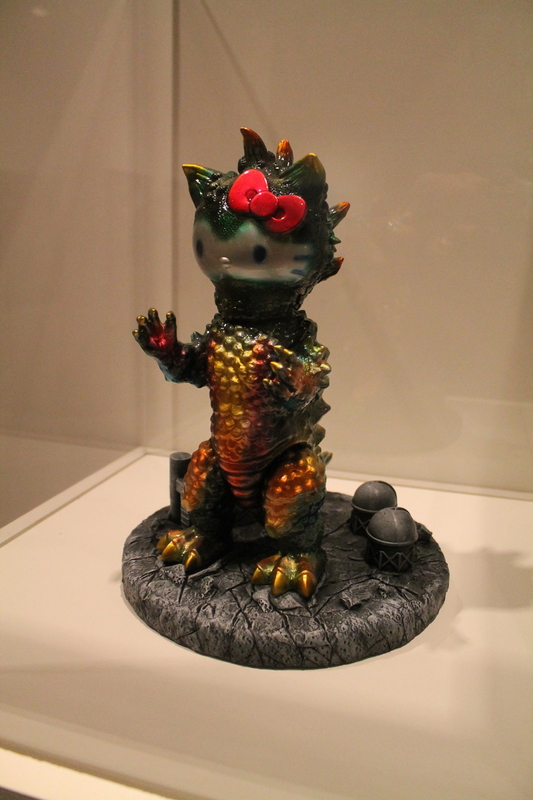 And yes, it was all, in a word, supercute. 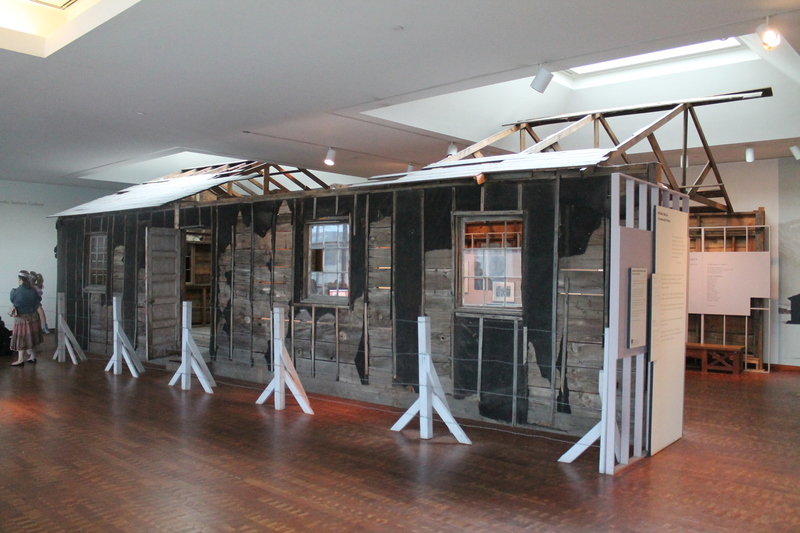 At the end of the exhibit, we came out into the JANM exhibit about the wartime Japanese internment camps, which was kind of a depressing and jarring transition. 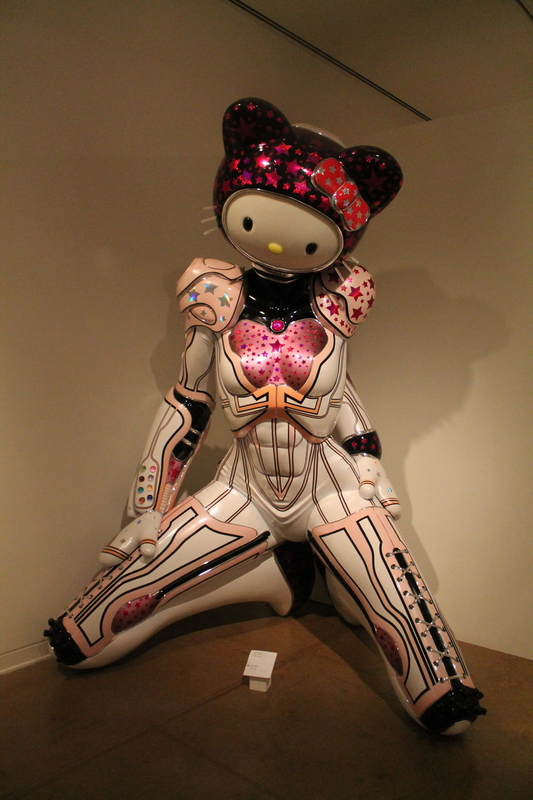 But still, Hello Kitty was very cute, and it was well worth the visit.